Samantha was born in February 2011. 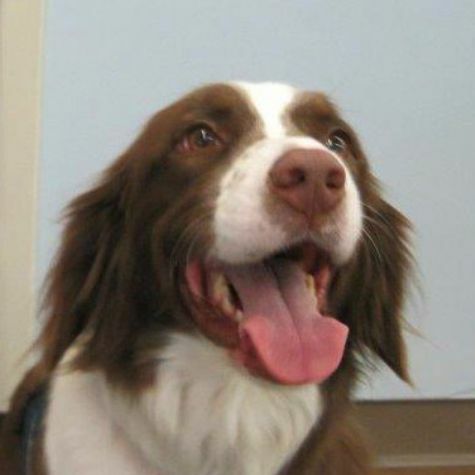 Her original family had some personal challenges so they gave Samantha to English Springer Spaniel Rescue. The Dickter family adopted Samantha in May 2013. Samantha is not a pure bred Springer and she won't tell us who her mother and father are. No matter. Samantha and her alpha master Bill have been with Love On 4 Paws since August 2014. Samantha loves going to St. Vincent's Medical Center and All Saints Healthcare to visiting patients, family and staff.